WORLDWIDE: Wind energy reached a turning point in 2017, becoming the cheapest source of electricity generation in many locations. Subsidy-free projects emerged in various places and several auction prices were comfortably below those of the fossil-fuel sources. The International Energy Agency’s (IEA) World Energy Outlook 2017 reflected a shift from fossil fuels to renewables. Between 2010 and 2016, global coal-fired capacity added 65GW a year, the highest of any electricity-generating source. By contrast, for the 2017-40 period, anticipated annual additions of coal-fired generation are less than 20GW. Gas-fired facilities are expected to be built at a rate of just under 50GW per year, which is similar to the projection for wind. But solar PV leads the field, with an anticipated build rate of more than 70GW a year. However, wind’s higher productivity means its electricity-producing potential is probably greater. The US Department of Energy’s International Energy Outlook suggests wind will be providing around 3 million TWh annually by 2040. According to this forecast, solar PV will contribute a little under 2 million TWh, but the largest renewable contributor will be hydro, delivering just under 6 million TWh. Total world electricity generation is expected to be a little below 35 million TWh, and renewables will be delivering just under 30% of this, roughly on a par with coal. The rate at which renewables are deployed will still depend on the price of fossil fuels, particularly gas. Natural-gas prices in the US hovered around $10/MWh in 2017 and are expected to be slightly higher in 2018. In Europe, prices are around double this level, but a rise in oil prices — expected in the reference case of the US Energy Information Administration — tends to be followed by increases in the price of gas. These gas prices translate to electricity generation costs of around $40/MWh in the US and around $60/MWh in Europe. As they do not include any allowances for the costs of carbon, they represent target costs for renewables. Most authorities forecast these prices to rise. The UK’s Department for Business, Energy and Industrial Strategy (BEIS), in its reference case, expects gas prices to rise by 25% by 2023, and even its low prices case assumes that gas costs will go up. It is possible to quote a reasonably universal figure for the cost of gas-fired electricity generation, but the same is not true for wind, as the weighted average cost of capital has a much greater influence. The generation costs above assume a plant life of 20 years and an interest rate of 8%. Halving the interest rate to 4% would only make a small difference in the case of gas, lowering the electricity cost in the US from $40/MWh to around $36/MWh. A similar change in interest rates for wind would change the generation cost by around 25%. The other factor that makes it difficult to quote a typical generation cost for wind power is wind speed. The European Wind Atlas, for example, shows that wind speeds at a height of 50 metres in open plains exceed 7.5m/s in Scotland, north-west Denmark and a small area in the south of France. At the other end of the spectrum, large areas of north-west Italy, central France and south-west Germany have wind speeds of less than 4.5m/s on open plains. In each case, wind speeds would be higher on hilltops and lower in sheltered regions. In most places, coastal zones and mountain regions are generally the windiest, and that particularly holds true in the US, where the windiest regions are in the vicinity of the Rocky Mountains. A study by Pacific Northwest National Laboratory estimated there are more than 800,000 km² of US land with wind speeds between 6.4 and 7m/s, at 50-metre height, just under 400,000km² with wind speeds between 7 and 7.5m/s, and about 80,000km² with wind speeds between 7.5 and 8m/s in the US. Elsewhere, the general rule about coastal regions applies, and particularly attractive regions are the tip of South America, Tasmania and some parts of Japan. Despite the attractions of high winds in mountain regions, construction costs are inevitably higher, which is why low construction costs are not paired with high winds in the graphs. Offshore, similar considerations apply, inasmuch as wind speeds increase with distance from the shore, but so do construction, and operation and maintenance costs. There is a further difficulty in that water depths are often greater at further distances offshore, perhaps necessitating floating wind turbines. In fixing the appropriate installed costs to be used in the analysis of generation costs, there are quite small changes in the onshore wind installed costs compared with last year. Although there are two outliers in the data tabulated by the Renewables 2017: Global Status Report, published by the Renewable Energy Policy Network (REN21), an upper bound onshore cost of $2,000/kW has been used, and the median value remains at $1,600/kW. The lower bound has moved down slightly to $1,200/kW to reflect the low prices that prevail in China and India. The link between wind speed and productivity has been changed to reflect the greater use of wind turbines with lower ratings for their size, which is reflected in higher capacity factors. The link between wind speed and capacity factor for offshore wind turbines reflects the use of wind turbines with higher ratings for their size. The weighted average cost of capital has been taken as 7% for onshore wind and 8% for offshore wind. At the median cost of $1,600/kW, the corresponding figures are $80/MWh and $44/MWh. The representative installed costs are more difficult to establish, as cost estimates for some recently reported projects with low energy prices, reported recently, have not been revealed. Most of these are not scheduled to become operational until around 2022. The aim in this analysis is to illustrate near-term costs, which, in the case of offshore, means wind projects that will become operational around 2020. The capital cost of the first US wind farm, suggests an upper bound figure of $5,500/kW is appropriate, slightly higher than last year. The median figure also needs to be revised upwards, taking into account data from REN21. A figure of $4,000/kW has been used, although that may be unduly weighted by inclusion of some early (and expensive) projects. The lower-bound figure of $2,100/kW — the same as last year — is consistent with REN’s minimum figure for Europe and is still higher than its reported minimum value for China ($1,890/kW). The estimated generation costs shown in the generating costs charts take into account operation and maintenance costs, which, for offshore, are roughly double those for onshore wind. There are variations in the published data, and it may be noted that the values tend to increase with the age of the turbine. 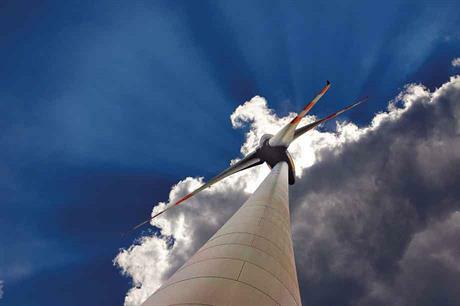 The aim has been to use values appropriate over the life of the turbines, but the total operating costs vary with location, depending on local taxes and transmission costs. Offshore generation costs at the upper-bound installed cost vary from about $237/MWh at 8m/s down to $182/MWh at 9.5m/s. At the median cost of $,4000/kW, they range from $198/MWh at 7.5m/s to $148/MWh at 9m/s. At $2,100/kW, a typical value is $103/MWh at 8m/s. However, if the weighted average cost of capital comes down from 8% to 4%, that figure drops to $80/MWh. There may be other factors, such as lower operation and maintenance costs, that encouraged developers to submit the highly competitive bids reported during 2017. The yardstick against which wind generation is judged is generally the price of gas-fired generation — around $40/MWh in the US and $60/MWh in Europe. However, two factors need to be considered to create a level playing field. Gas requires a carbon cost to be to be added to the generation cost; wind needs the costs of managing variability to be taken into account. Both issues are extremely complex; the cost of carbon, in particular, is very difficult to calculate. The costs of managing variability depend on the characteristics of the electricity network in which the wind is operating. As there is no consensus on the carbon cost, a value of $10/tonne of CO2 can be used as a reference. This corresponds to a cost penalty of around $4/MWh for gas and around $9/MWh for coal. The variability costs depend on wind’s penetration level. If it supplies 10% of the energy on a network, the cost is about $5/MWh, rising to around $6-8/MWh with 30% wind. Beyond that, there is a lot of scatter in the literature, as the value depends critically on the type of plant and on interconnections with other electricity networks. As the added costs (for carbon and variability) are of a similar order, first-order comparisons can be made by neglecting both. This suggests that wind is competitive with European gas-fired generation, at the median cost with wind speeds above about 6m/s. The position is more complex in the US, but it should be noted that gas prices vary between states, and can be higher than the overall average quoted above. Apart from gas, wind now has no other competitor among fossil-fuel sources. There have been no new nuclear developments, leaving the UK price for its Hinkley Point C power station as a benchmark, at around $130/MWh in 2017 money. The US Energy Information Administration (EIA) quotes a capital cost of $5,880/kW, which translates to an electricity price of around $100/MWh, assuming a plant life of 30 years and a weighted average cost of capital of 8%. Lower prices were reported in 2017, but only with low-interest loans. There have been discussions over the prospects for small modular reactors. But a report commissioned by the UK government, released in December 2017, quoted a central estimate for the "first of a kind" generation cost of around $130/MWh, although this might fall with series production. Coal-fired generation is no longer a competitor. The US EIA no longer quotes costs data for unabated coal, and the cheapest option is with 30% carbon capture and storage (CCS). That puts it at just over $5,000/kW, and the generation cost would be around $110/MWh. Solar PV costs continue to fall rapidly — faster than for than wind. But Lazard’s Cost of Energy comparison and the REN21 Global Status Report both show wind being slightly cheaper on average. According to REN21, India has the cheapest PV, with a weighted average installed cost of $1,064/kW, delivering electricity at about $75/MWh. The cheapest onshore wind is in the US, delivering electricity at around $60/MWh — again, a weighted average. Lazard’s figures are $30-60/MWh for onshore wind, and $43-48/MWh for utility-scale PV. Auction prices for PV undercut those for wind from 2019 onwards, and this is likely to be part of a general trend. Further evidence of the competitive nature of PV prices comes from the UK, where plans for a subsidy-free solar farm have recently been unveiled. 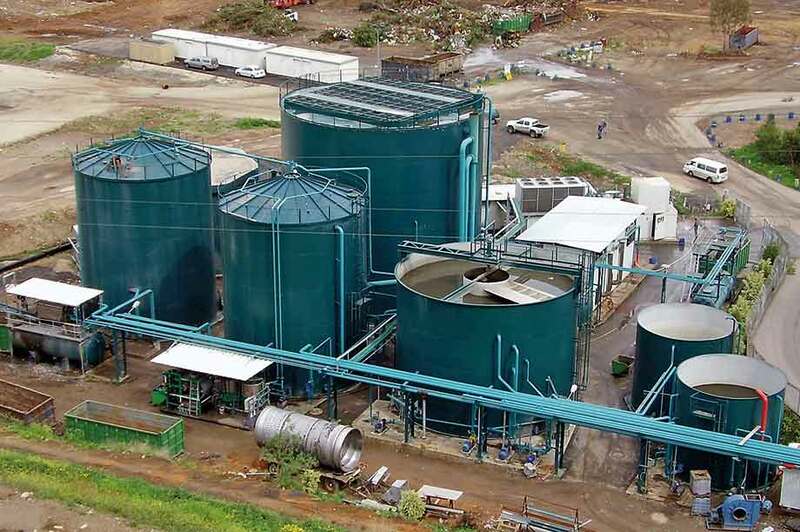 Hydro is restricted by the need for an adequate head and volume of water, and geothermal needs high-temperature steam or water close to the surface. If this resource is only accessible by deep drilling, that clearly puts up the cost. The cheapest hydro (based on weighted average costs) is to be found in the US and China, and the cheapest geothermal in Asia and South America. Biopower is defined by the IEA as "energy generated from the conversion of solid, liquid and gaseous products derived from biomass". Biomass, in turn, is defined as "any organic matter, ie biological material, available on a renewable basis. Includes feedstock derived from animals or plants, such as wood and agricultural crops, and organic waste from municipal and industrial sources". This covers a very wide range of processes, and the most extensive use of biomass is for heating. But biopower now accounts for around 500TWh of global electricity generation. Costs range widely with the varied processes, but the EIA suggests the capital cost of a typical plant is $3,790/kW. Thermal efficiency is low and with a 20-year life and 8% interest rate, the EIA puts the generation cost at around $80/MWh. Progress in wave and tidal technologies is unlikely to pose any significant competitive threat to wind energy in the near term. No decision has been taken yet on a large UK tidal lagoon project, and recent cuts to government funding for renewables are not a good omen. The EU is funding a tidal power demonstration programme and there are a number of pilot wave and tidal projects being tested around the world. Renewable energy’s key asset of price stability — once built, the electricity price is more or less fixed — was highlighted in December 2017 when European gas prices surged. 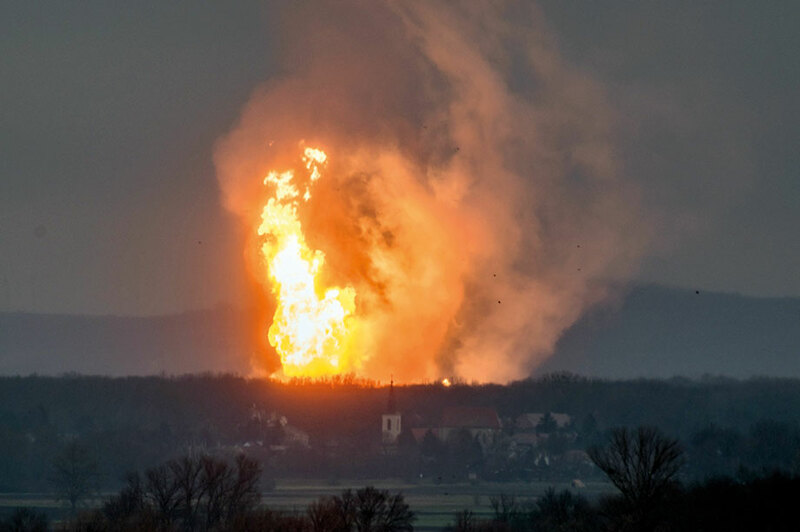 An explosion at an import hub in Austria occurred at a time when a major North Sea connector was already out of action, and during a period of cold weather. Although prices are expected to settle once repairs have been completed, the incident illustrates the volatile nature of fossil-fuel prices, which impact significantly on the corresponding electricity costs. Onshore wind’s installed costs in 2017 showed little difference to the previous year — slightly down at the lower bound, marginally up at the higher — with the median level unchanged at $1,600/kW. Assuming a weighted average cost of capital of 7% and wind speeds of 7.5m/s, the generating costs at the median level are $56.4/MWh. That is slightly down on the 2016 figure of $58.1/MWh, reflecting the high capacity factors of taller turbines with longer rotor blades increasingly in operation. At the lower bound of installed costs ($1,200/kW) this falls to just $41.5/MWh, rising to $51.6/MWh at wind speeds of 6.5m/s, putting onshore wind broadly on a level with gas, but well below nuclear and coal with CCS. Of the other renewable sources, only hydro is cheaper, although solar PV is price-competitive in the appropriate locations. Offshore wind installation costs range much more widely depending on the size and location of the project. 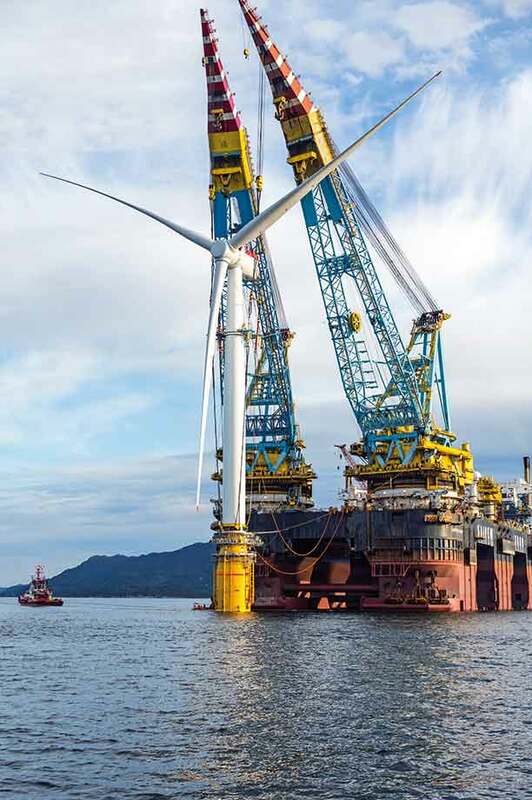 New pilot developments, such as Deepwater Wind’s Block Island, the first in US waters, and Statoil’s Hywind Scotland floating project, have pushed the upper bound of installed costs to $5,500/kW. Assuming a weighted average cost of capital of 8%, this translates into generating costs of more than $180/MWh even with wind speeds of 9.5m/s. Offshore wind energy starts to become a much more competitive proposition at the lower bound of installed costs of $2,100/kW, which the latest data indicates is applicable to the cheaper European sites, and has probably already been undercut in China. At this level, offshore wind generating costs drop to less than $100/MWh — thereby falling below nuclear and coal with CCS — at wind speeds of 8.5m/s, falling to less than $80/MWh at 9.5m/s. On 10 January, officials announced that New York City was seeking to divest $5 billion from fossil fuels from its $189?billion of pension funds within the next five years. The announcement followed the advice given by Norway’s central bank to the government late last year that it should rule out any future investment in fossil fuels, and to divest those thermal assets it currently owns. New York City is, however, is going further than Norway in its drive to clean up its electricity generation. It is planning to sue the world’s most powerful oil and gas companies — BP, Exxon Mobil, Chevron, ConocoPhillips and Shell — in the federal court over their contribution to climate?change. "We’re bringing the fight against climate change straight to the fossil-fuel companies that knew about its effects and intentionally misled the public to protect their profits," said New York mayor Bill de Blasio. "As climate change continues to worsen, it’s up to the fossil-fuel companies whose greed put us in this position to shoulder the cost of making New York safer and more resilient."